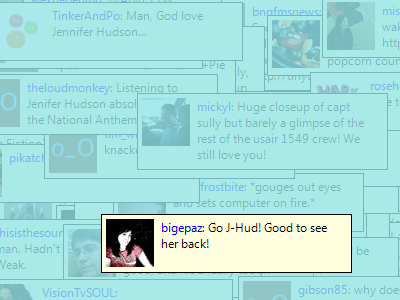 Catfood Twitter Screensaver shows random tweets from the public timeline. You can also add accounts and follow tweets from your own timelines. The colors used can be modified and you use different colors to distinguish the source of each tweet.